Take a journey through scent. Build your own miniature world. Come in and make a personalized perfume at a time that works for you! We host your experience while our perfume booklet works to guide you through the creative process. All you need is included at our Essence Bar. Take a journey through scent! Get ready to concoct with your imagination.... We will sit you at our Botanical Library with a specially designed kit of natural essences. You will encounter scents of tobacco and rose, leather and jasmine, blood orange and cognac! 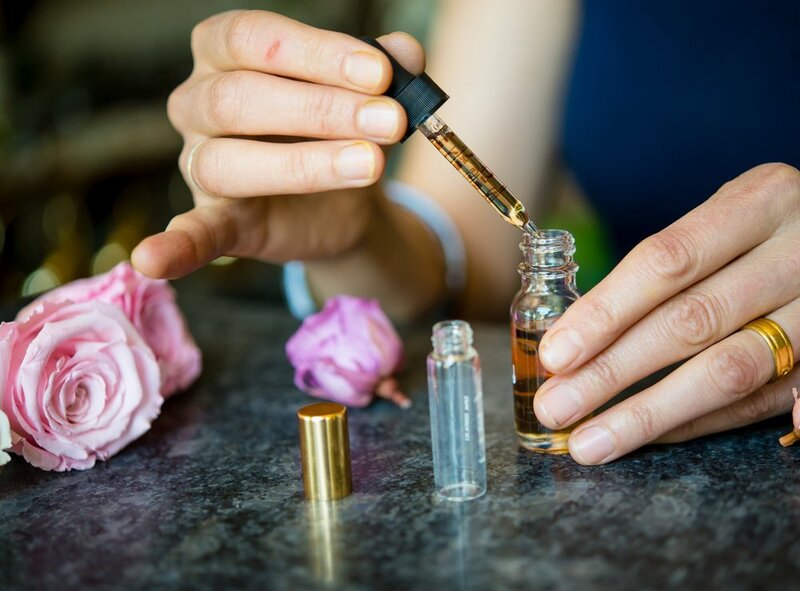 In this class you will be guided in making two Perfume Oils to take home. First you will explore how essences are categorized into families. You will take time exploring and choosing your favorites. Next you will explore how the structure of a Chord or Harmony are made up of Top, Middle and Base Notes as scent relates to music. Finally, you will create your perfumes! Each step along the way is focused on how a scent makes us feel, slowing down, and smelling the roses. Come join us and enjoy. Our Perfuming table is open! Please note that we have a scheduled terrarium workshop at 4:00PM & that the scheduled drop-ins are guided by booklet. There will be knowledgeable employees to help you out and answer any questions you may have!